Located in Southampton, Union Burger Bar offers a fun twist on the most American of American meals: The Cheeseburger! 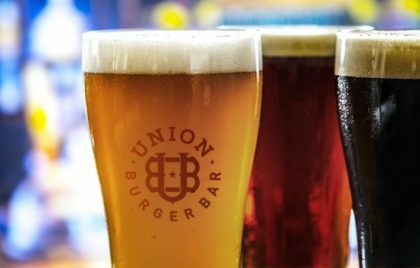 Offering gourmet burgers, fresh cut fries, craft beers, milk shakes and boozy shakes, Union Burger Bar offers an assortment of guilty pleasures for everyone. VNSNY is the largest nonprofit provider of home based healthcare in the US. Founded in the East Village, VNSNY has been caring for patients in NY and its surrounding areas for 125 years. 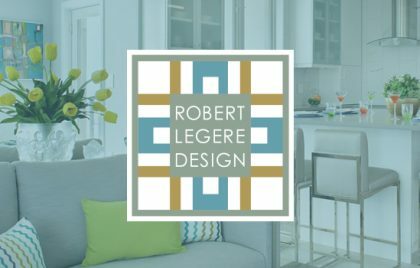 Robert Legere is an award winning interior design and remodeling firm located in the heart of Asbury Park. Along with interior design services their design center facility includes an extensive selection of kitchen and bath cabinetry, architectural and accent lighting, counter materials, home furnishings, fine area rugs, and a large product resource library for virtually every type of interior design remodeling projects. HSMF Women's Care specializes in personalized and comprehensive healthcare for women. They offer complete OBGYN services along with state-of-the-art body and skin care services. Sussex Bank, a full-service regional NJ-based bank that operated regionally with eleven branch locations in New Jersey and New York, acquired Community Bank of Bergen County, with three branches of their own. Their newly found entity consisting of fourteen branches was renamed SB One Bank. Founded in 1971, the PEN Prison Writing Program believes in the restorative, rehabilitative and transformative possibilities of writing. PEN America’s Prison Writing Program has amplified the writing of thousands of imprisoned writers by providing free resources, skilled mentors, and audiences for their writing. Their program supports free expression, and encourages the use of the written word as a legitimate form of power. PEN World Voices is a week-long literary festival in New York City. The Festival is composed of programs, readings, conversations, and debates that showcase international literature and new writers. Five Rings Capital is a proprietary trading firm combining strategy, innovation and technology in today's various domestic and international markets. Five Rings has an open culture which encourages input from each area of the firm to develop ideas and analyze and integrate them into their strategies and systems. SART is the primary organization of professionals dedicated to the practice of assisted reproductive technologies (ART) in the United States. ART includes the practice of In Vitro Fertilization (IVF), with their mission to help maintain the standards for ART in an effort to better serve their members and patients. Polaris is the scalable solution to corporate risk management. They provide integrated services which focus on comprehensive solutions to today’s complex security issues. They are committed to the evolution of artificial intelligence and predictive intelligence and analytical modeling when it comes to risk mitigation and planning. Stonework Design & Consulting is a natural stone and tile contracting firm servicing the hotel, restaurant, retail, corporate and high end residential market sectors. The bond market needs a credit alternative. Verify’s on-line forum of vetted credit graders provide issue-specific, peer-sourced credit information previously unavailable on any industry platform. Their patent-pending process takes place on a secure platform, delivering critical and comprehensive insight that enhances the credit market landscape. Cosmos Granite and Marble is one of North America's largest stone slab importers and offers an extensive collection of tile, natural stone, and quartz products for commercial and residential projects. GreyBox designed a 32-page product catalog to showcase Cosmos first Tile & Mosaics collection featuring their contemporary tile series from around the world. Exclusive package targeting high-net-worth individuals interested in exclusive listings on the Big Island. A custom mailing package design was printed with silver foil stamp and metallic inks and housed a customized brochure which listed current available properties and an overview of Luxury Big Island and their distinguished reputation as one of the top realtors on the island. Scalp Micro USA is a New York based company specializing in scalp micropigmentation, a non-invasive treatment that uses detailed micro-needles to deposit pigment into the scalp. PEN America stands as a bulwark defending free expression, free assembly, the diversity of voices, and the force of reason. Louder Together for Free Expression was a literary protest that brought together hundreds of writers and artists and thousands of New Yorkers. Superstructures Engineers + Architects is a award winning architecture and engineering firm dedicated to the preservation of buildings and infrastructure. This New York city based firm specializes in the investigation and repair of commercial, residential, and educational buildings throughout the metropolitan area. Investment Professionals for Charity, IPC, non-profit organization comprised of investment professionals and friends throughout the country. Each holiday season, GreyBox has been tasked with creating invitations and event branding for their annual holiday parties in New York and Chicago. The Ian K. Katz Group is an innovative residential real estate brokerage based in Manhattan who is focused exclusively on serving buyers only in Manhattan and a few select towns in Westchester. Gramercy Surgery Center is a multi-specialty ambulatory surgery center in New York with locations in both Manhattan and Queens. They offer patients the convenience and accessibility of a local hospital in addition to the advanced technology and care. Their continued growth has led them to become one of the leading multispecialty centers in New York, specializing in twelve different services. LMCA are brand extension strategists. For over 30 years, LMCA has been an industry leader in strategic brand extension licensing and have helped some of the world’s best companies and leading brands grow in the United States and around the world. With offices worldwide, LMCA has structured deals that have products being sold in 60+ countries. GHC provides strategic management and consulting services to healthcare providers and medical practices. They are composed of a strong and seasoned management team and they provide unique insight and solutions to medical facilities to help them run more efficiently. Investment Professionals for Charity, IPC, non-profit organization comprised of investment professionals and friends throughout the country. It’s national charitable efforts provide comfort and relief to the children and families in need. For the third straight year, GreyBox created unique invitation package for their yearly Holiday Party in New York and Chicago. IPC, a non-profit comprised of investment professionals and friends throughout the country. It’s national charitable efforts provide comfort and relief to the children and families who need it the most. Based off the success of the first year GreyBox designed a new invitation package for their yearly holiday party in New York and Chicago 2013. Redshift is a software development firm that provides solutions in sustainability, safety, medical treatment, risk assessment and scientific research. They combine pre-built software with custom development and design and build data gathering and analysis solutions that are innovative and reliable. Multiphase Engineering provides consulting services and software products to the petroleum and petrochemical industries. It specializes in the diagnosis and resolution of four-phase flow issues: oil, water, gas, sludge, or solids flowing simultaneously in pipelines and horizontal wells. CREW New York provides educational programs and networking opportunities that contribute to the career growth of professionals within all segments and levels of the real estate industry. They offer opportunities to network and engage with women in real estate through luncheons, breakfasts, seminars, lectures and cocktail events. These events are designed to enhance the professional knowledge and skills of the members. Conifer, acquired by SS&C in December of 2016, is a respected provider to the financial services industry offering fund administration and back office administrative services to many of the top Hedge Funds, Private Equity firms, Pensions, Endowments and Foundations. It is a combination of their technology and high quality professional talent that make them a leader in their industry. This high-end medical spa is one of the finest not only in Manhattan but around the world. Their specialty is keeping skin looking healthy and young. Christa Bache is a multi-faceted personal trainer. Her training programs are customized to the individual. Her clients range from individuals looking to get in shape, lose weight, improve their lifestyle and rehab injuries. The philosophy behind the training is that individuals need to work more than just their body to achieve the full benefits from the program. The Department of the Army hosts a race in Washington DC each year known as the Army Ten-Miler. The race draws a large number of civilian and military runners. Mac Gym is one of the premier gyms in midtown Manhattan located on Park Avenue next to Grand Central Station. This hidden gem has state-of-the-art equipment, access to a team of expert personal trainers and licensed physical therapists along with a basketball court and golf similar. There is no need to carry a gym bag to this premier facility since the gym offers permanently assigned lockers and full laundry services. This is a traditional investment bank with capital raising and advisory services. The company is composed of three divisions; research, advisory, private equity. The company’s consulting services focus on consumer brands and the retail industry. Some of the things they do is provide trend analysis as well as assist with mergers or acquisitions of two retailers. Witherspoon is an asset management firm located in Princeton New Jersey that provides managed futures investments for both individuals and institutions. Their management team is made up of seasoned professionals and they provide portfolio diversification through discretionary traders and tactical specialists. Apollo is a leading global alternative investment manager. They are value-oriented investors in private equity, credit and real estate with over a hundred billion AUM. Apollo Capital Management is one of the largest and well-respected alternative investment management firms here in New York. This 15,000 square foot training facility is the premier baseball-training center in New York City. Established in 2000, it provides the highest level of baseball and softball instruction in Manhattan. Staffed with an elite roster of professional coaches they provide; private lessons, clinics, birthday parties, summer camps and batting cage rentals. Children, adults and even professional baseball players utilize this Upper West Side facility to fine-tune their swing and field grounders. The Kantner Foundation Inc., awards scholarships to outstanding high school students that demonstrate a high potential for future success. Woodrow A. Kantner, a real estate developer from Florida, established the foundation in 1987. Their mission is to provide scholarships to like-minded high school students from the local community, and advancing the free enterprise system and community based philanthropy. The foundation has been around for the past 25 years and has awarded over two hundred scholarships to local student in the Martin County, Florida area. Shared Interest is a none-profit organization that works toward social and economic change in South Africa. They are a registered 501(c)3 non-profit social investment fund that raises capital in the United States from individuals and institutions to support lending, agricultural cooperatives and small businesses in South Africa. The organization uses loan guarantees to bridge the gap between South African banks and social disadvantaged people, previously considered “unbankable” during apartheid. Inline Realty is a boutique real estate brokerage firm focused on the retail segment of the metro New York market and specializes in Tenant Representation, Owner Representation, Investment Sales and Consulting Services. Inline continues to work with many of the most recognizable brands in America, specializing in first floor boutique size retail office spaces. This home center is family owed and located in Mamaroneck, New York. Aldian rents tools and equipment to contractors and homeowners. The core of their business is in renting out; heavy equipment, gardening equipment, power tools and everything else in between. As a value added service they also provide equipment sales and repairs to their existing customers upon request. Akeso is the next generation online interactive learning tool for medical students. This online training tool provides interns, medical students and fellows the ability to assess certain medical situations and then allows them to apply their solutions in an environment, which their superiors can access, and review. This revolutionary training tool speeds up the learning process by utilizing it’s problem based teaching techniques along with its cutting edge technology. Rock Stars of Science is an ongoing philanthropic campaign by Geoffrey Beene. Rock stars join the campaign each year to honor the doctors and researchers who are saving our lives, to make science a career choice for the next generation. Joe Perry of the legendary rock and roll band Aerosmith is the Rock Stars of Science spokesman. This none-profit organization saves millions of lives and looks to inspire next generation investment in scientific research. Notifyi is an online software platform designed by physicians for physicians to create better communications between physicians. The system enables physicians and hospital staff to send secure messages that are routed according to the receiving physicians’ specific preferences for the clinical situation. It allows users to discuss cases, send messages and emails on patient related cases in a digital environment keeping all the doctors on the same page. Fusion IQ is a web-based software platform, which uses unique proprietary tools, developed for individual investors, as well as customized solutions for fund managers and traders. The ranking system fuses technical and fundamental metrics together producing one simple score. The system is used to generate stock picking ideas as well as help with risk management. This firm specializes in investing in money managers both in the traditional and alternative space. The firm invests in firms that have assets under management between one hundred and two hundred billion. They most often taking a minority position in the firm and assists with things like sales and marketing. This long/short equity Hedge Fund, based in New York, approached us when the founding partners broke away from one of the larger Asset Managers to start their own firm. The partners were a unconventional or less conservative than your typical Hedge Fund. Each Summer Reservoir Capital would invite clients and friends to come join them in their corporate box and experience the tennis action up close. Capturing the excitement of this sporting event in an innovative way was our goal each year. Always thinking outside the box we create unique invitations as well as unique packaging to excite their clients about the upcoming tournament. The US Open tennis tournament was the venue for a yearly tradition for Reservoir Capital to invite clients and friends to come enjoy and experience the tournament first hand from their corporate box. GreyBox Creative developed innovative and captivating invitations to get clients and friends excited about the upcoming tournament each summer. The well know New York institution brought us the task of creating an invitation for an investment industry gala they held to benefit their educational programs and student outreach efforts. The program supports organizations such as; Julliard School, New York City Ballet and Opera to name a few. The Circus has been entertaining New Yorkers for many years and was the location of a yearly event held by Reservoir Capital. The event was put together as a client appreciation event, which entertained their client’s along with their families. GreyBox was challenged each year to creatively wow the potential attendees with captivating invitations displaying exciting graphics and specialty printing, binding and finishing techniques. This holiday event took place in 2006. The Big Apple Circus was the backdrop of a holiday event thrown each year by Reservoir Capital that entertained their client’s families, employees’ families and friends. Each year GreyBox Creative conceptually came up with a graphic direction, witty copy and utilized specialty printing, binding and finishing techniques to infuse excitement and enthusiasm into this unique event. This particular event took place in 2005. The Circus was the setting of a yearly holiday event put together by this well-known hybrid fund in New York. The events goal was to entertain their client’s families, friends and employees during this end of year event. After several years of being challenged with the creative task of wowing their guests with exciting event materials, GreyBox had to think outside the box. This 2007 event met the challenge by utilizing exceptional creativity, specialty printing, binding and packaging. Ashton Benefits is an employee benefits firm with offices located in New York City and New Jersey. The organization consists of benefits consultants; insurance specialist, financial planners and administrators, which help companies, develop strategies and custom tailored industry-competitive heath plans. Reservoir Capital held an annual meeting where their CEO and management team would review the firm’s performance and investment outlook with their clients. The branded invitation communicated the itinerary, list of speakers and RSVP card. We additionally designed posters and supporting print materials for the event. Lincoln Center Donor Appreciation is a yearly program as a way for Lincoln Center to thank donors for their continued support and contributions through out the year. In 2006-2007, donors were offered a choice of three different events to enjoy an evening of the many different cultures that Lincoln Center offers such as opera, jazz, the philharmonic and classical performances. To show appreciation to the donors of Lincoln Center corporate fund they held a yearly event displayed many different types of music. These corporate donors were treated with a night of fine food and music. The dinner event was held at the end of the year and included opera, jazz, the philharmonic and classical performances. Domus is non-profit outreach organization that helps youths and their families experience success. Through charter schools, residential programs, and community programs they enable kids and families to reach their full potential. Children learn independent living and job skills, improving their academic performance, and developing critical thinking and problem-solving skills. Barton LLP is a Manhattan based law firm comprised of former partners of “Big Law” who have created a client-focused, highly sophisticated, and results-oriented law firm. Barton represents clients in a wide array of industries across multiple areas of practice. Southampton Social Club is a premiere nightlife destination in the Hamptons, which offers world-class fine dining and unforgettable parties & events. Known for its lush outdoor space and fire pit adorned backyard to reflect a Hamptons-chic aesthetic this establishment attracts an eclectic group and attraction for many New Yorkers. Gemlok Jewelry is a world-renowned jewelry manufacturer based in Manhattan. Their patented "bar" setting, later trademarked as Gemlok, was an innovative setting technique that was an original, elegant new look, but also a "technically" more secure and snag-proof way of setting diamonds and precious stones. Jean Vitau Redux is their fashion-oriented line of jewelry, inspired by the vibrant beauty of nature, rendered in the most vividly hued precious jewels. Jean Vitau Creations are the ultimate merging of creativity, the artist's palette and the master jeweler's art. Tyger Media is a boutique media production company located in Miami. They are involved in the production, promotion and design for many hip and creative endeavors. The specialize in music, television, special event coordination attracting media attention and buzz around each of their projects. Precision IT is a New York based information technology consulting firm. Their ‘aim higher’ standard of excellence has earned the company elite partner status as one of the industry’s leading technology services companies. They offer one fixed price so their clients know exactly what their IT spend will be with no surprises and they provide their clients with real 24×7 helpdesk support. Kind Burgers is a Jersey Shore based burger restaurant, which offers high quality gourmet burgers, dogs and fries with gluten-free, dairy-free and nut-free options. Their service with a smile attitude transcends through everything they produce and is a call back to the old school burger shops of years past. We Endeavor is a non-profit organization, which empowers professionals & students to create educational opportunities. Using the power of social networking, they create communities of learning beyond those available through conventional institutions by mobilizing the unused human potential of qualified professionals and empowering them to fulfill educational needs by sharing their knowledge with nearby individuals, communities, and schools. Rockledge is an investment advisory firm specializing in sector investing. They provide the most current information and analysis on ETF’s and are the portfolio manager of a proprietary exchange traded fund. The website presents thinking and analysis on strategies and investment philosophies and establish Alex Gurvich as an authority on exchange traded funds.